It is natural that kids will be unaware of the basic organizational skills when they are very young. However, this might continue to prevail even when they reach the teenage stage, and start gaining maturity. In primary schools in Pune, kids have a short span of concentration level and lack logical thinking abilities like adults do. Quite obviously, they are very carefree and do not care much about keeping things organized if not taught. But in practical life, kids often have certain learning and organizational disabilities so it can be a struggle for them. During such scenarios, it depends on the parents and teachers to provide them with proper training and guidelines. Most of the everyday chores can be quite boring and exhausting for the kids. They would end up procrastinating their activities for the future. This has to be carefully monitored and if it continues, a kid might never learn the importance of organizing and time management. Esteemed Chairman of SNBP International School Pune, Dr. Dasharath Bhosale feels that it is every ones’ duty to guide children so that they do not grow up into disorganized adults. Making schedules and calendars: Make it a point that you make a proper schedule or a family calendar wherein your child can follow the instructions and carry out the week’s activities. They can make proper entries and notes in the calendar to keep a check on their day’s tasks. In one of the best ssc schools in Pune, under the able guidance of Chairman Dr. DK Bhosale, a child can learn good organisational skills. Deadlines: Be it a school project or any household chore, make them realise the importance of deadlines. Keep a deadline fixed for them so that they could finish it on time; you can reward them when they are able to maintain timelines. Check for best cbse school in Pune that helps your kid to understand the value of time in a friendly and positive manner. Plan a homework schedule: Dr. DK Bhosale, Founder of one of the top 5 schools in Pune, says that parents can plan out a well-scheduled time table for the kids to balance their work and play. Every kid should devote a set time for their studies and assignments. This will encourage them to plan well and make time for other activities also. Why Should Kids Learn Organising? Stay focused: Planning and organising things will make your kids focused on all the tasks. 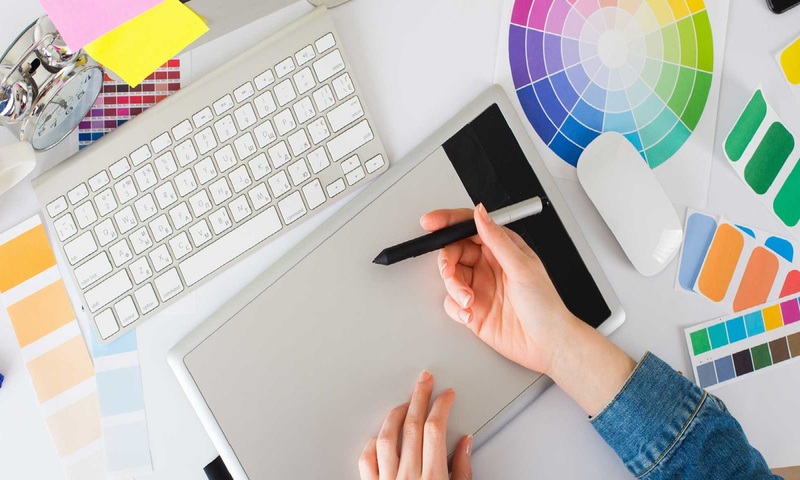 This will help in increasing their span of attention and concentration to details. The best International school in Pune adopts holistic methods that boost the concentration power of kids. 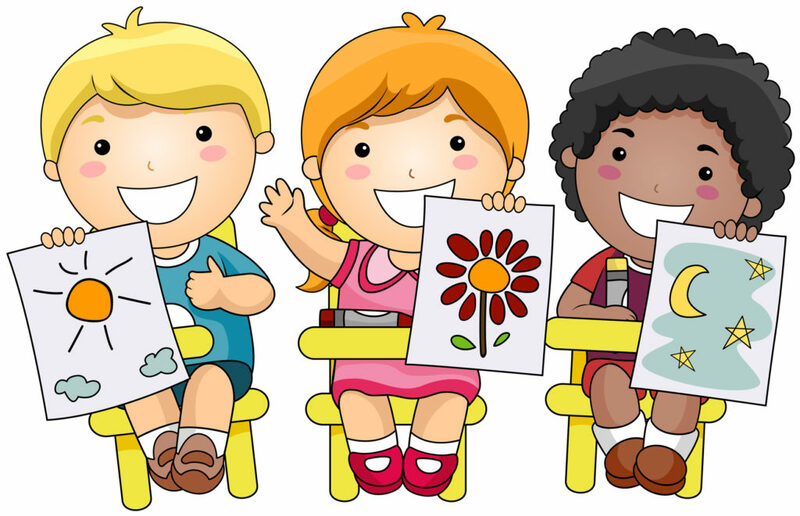 Learning: Inculcating organisational skills in your child would definitely help them to develop new learning skills such as making checklists, calendars, solving puzzles and many more. SNBP International School Pune under the chairmanship of Dr. Dasharath Bhosale adopts a holistic approach in developing a kid’s future, and that makes it one of the top primary schools in Pune. Recently, the CBSE made headlines when it declared art to be a compulsory subject of the curriculum for students of classes 1-12. The move has been taken and the board members even went further saying that a minimum of two periods per week must be devoted to the subject of art education. SNBP International School Pune, the best CBSE School in Pune has been also taking measures to include all major forms of art, stated by its chairman Dr. Dasharath Bhosale. The Central Board of Secondary Education has finalized the decision, so to ensure art integrated learning among students and owe the children effective learning outcomes. Which forms of art are included in the curriculum and how will the idea work? As per the directives of the latest sensational news, four main streams of art like music, dance, theater, and visual arts need to be covered by all the schools present under the CBSE board, like the International school in Pune. Even the teaching methods are going to undergo evolution by focusing mostly on the learning experience of the students. All the art subjects would even come with homework, theory, practical and project work; just like any other subject present in the curriculum. Most CBSE schools in Pune thereby are adopting ways to remodel their curriculum so as to fit in the art subjects, as per the law. But as for SNBP International School, the best CBSE school in Pune, it is happy news as art subjects were always a part of their syllabus because the veteran chairman Dr. Dasharath Bhosale always believed in its benefits. Why was this step necessary? The curriculum of the board was found to be redundant and mundane at certain places which seemed to impact the student’s minds making them accustomed to only learning of the science subjects. But they need to come in contact with the informative world of art as well. Most children have a trove of creativity but it does not get the chance to show its face to the world owing to non-creative syllabuses made by schools. That is why the board decided to go with this decision so that the students besides keeping up with their studies can pursue their fields of interest like painting and even dancing. SNBP International, guided by Dr. DK Bhosale and the other top schools in Pune, conduct various art classes so that students can follow their interests and even develop a career based on their passion. What is so unique about this step? With the initiative to take education towards learning and beyond, the board has decided that there would be no formal exams for the art subjects. Even the CBSE and the IB board schools in Pune will follow an innovative pedagogy which involves teaching popular scientific topics, like the planets and the universe through elements of art. Students of the classes 6-8 will also have to study culinary arts apart from the 4 subjects mentioned above. Although the best CBSE school in Pune, SNBP International School Pune under the expert leadership of its chairman of Dr. DK Bhosale has implemented this joyful method of education a while ago, other schools would soon be following it. Young students are the future of our country. We look upon them as the persons who would take care of us and our society. But in order to prepare them accordingly, they must be taught proper habits. And this training should comprise of all the units, from behavior to food habits. It has been found that the top 5 schools in pune have included contexts in the syllabus to teach healthy eating habits to students. According to Dr. DK Bhosale, the chairman of SNBP International School Pune, proper eating habits must be inculcated amongst students, right from day one in school. This is to ensure that as they grow up, they continue with these habits later in their life as well. The best school in pune teaches a child to be concerned about the kinds of food that one should be concerned about consuming. 1. Parents generally introduce children to snacks like chocolate, chips, and pizzas. But these types of foods are not really healthy and must be eaten only in limited quantities. 2. The diet of a young student must include foods that have rich contents of iron and calcium. These minerals are required in large portions to meet the requirements of the growing body. 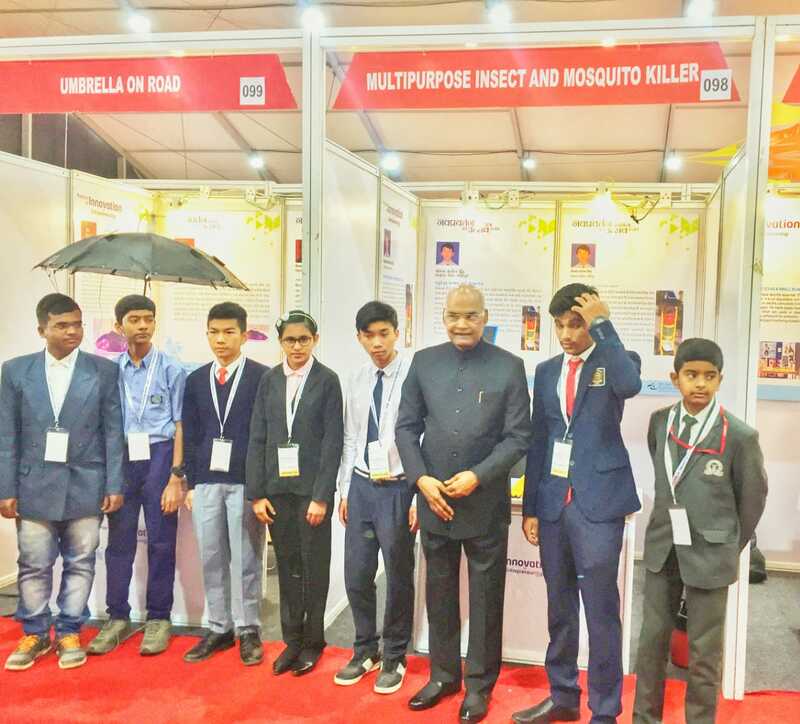 Dr. Dasharath Bhosale and his team from one of the best cbse schools in pune have put up a good effort to explain the need of nutrients through activities and discussions on the topic, that provide the students with enough learning opportunity. 3. Children should be taught about the nutritional values of each type of food that they consume. This would help the curious mind to understand better why healthy eating habits are a necessity. 4. A variety of healthy foods need to be included in the daily diet because different foods with different nutritional values are required for all-round development. 5. Another important thing that is taught in the ssc schools in pune is that meals should always be eaten on time. Otherwise, it may lead to physical breakdown. 6. Fruits and vegetables are the types of foods that build immunity in the human body. Thus, a student’s diet must include plenty of them. 7. As per Chairman Dr. DK Bhosale, to deal with the pressure of studies and various activities, one needs loads of energy. To provide this energy, it is essential to include carbohydrates and fats in food habit. 8. Proteins, which are essential for growth and repair of the body are the major requirements of a growing child. Foods like eggs, fishes should be included in the diet. 9. Milk, however disagreeable it tastes, should be included in the breakfast. Milk contains calcium that is essential in the formation of bones. 10. The food that is taken has to be balanced with enough physical activity. 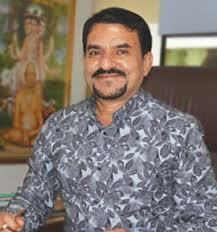 Dr. Dasharath Bhosale has blended the motto “health is wealth” with the ideals followed in school. SNBP International School Pune, one of the top 5 schools in pune also makes it a point to inculcate a healthy sense of hygiene – students are always taught here to wash their hands before and after meals. Most of us must have been aware of the popular proverb ‘all work and no play makes Jack a dull boy’. The proverb holds true in real life and therefore if the kids of today studies all day while being confined within 4 walls, their minds would be nothing but completely dull. The primary reason for which the SNBP International School Pune, one of the top 5 schools in Pune, headed by chairman Dr. Dasharath Bhosale believes in imparting outdoor education because it helps in strengthening their ability to interact in the society. As open space is being offered to them, their mind becomes free, unnecessary inhibitions leave them and they initiate to build healthy and cordial relationships with their peers and teachers. Learning all day enclosed within walls give rise to boredom and removes all scope of innovation and creativity. However, moving somewhere outdoors on a few days opens up a world of newness before kids and their urge to learn and study enhances. This, in turn, rewards them by improving their power of retention and recall. Most primary schools in pune, therefore, integrate outdoor learning with the usual curriculum for the children’s development. Children and teen nowadays have to deal with various things at once which make them stressed often. But being a part of outdoor education, which has been made compulsory by the SSC schools in Pune, helps them to combat stress levels by taking lessons from a number of activities. For instance, if a pupil notices his or her inability to play a sport, seeking help from the peers and the facilitators will help them understand the reason behind their inability. At SNBP International School under the chairmanship of the imminent personality, Dr. DK Bhosale, holistic development of each and every child is being given utmost importance. To facilitate this, outdoor education has been made a compulsory part of the curriculum of the best International school in Pune. From a very young age, students associate closely with teachers, who help guide the students into becoming fruitful and productive human beings with a unique personality of their own. Not only an academic education, but teachers are also responsible for teaching a number of life lessons to students. Dr. Dasharath Bhosale believes in developing a complete approach to education that will make not only make students academically sound, but morally gracious as well. Teachers can also encourage a child to develop healthy social habits from a very young age. Playing games with children and interacting with them in a friendly way helps children to overcome their fear of leaving home for the first time and helps them to adapt to their surroundings better. Not only children, but teachers can also help young adults cross this threshold in life. Adolescence can be a difficult period for many, and it is the teacher who listens to the problems of the students and gives them active help and guidance to make the transition period easier for them. With the rising number of primary schools in Pune, more and more children are being brought into the process of academics from very tender ages. The primary education bestowed upon children at this age is important since it moulds the way in which they perceive and accept their higher education. 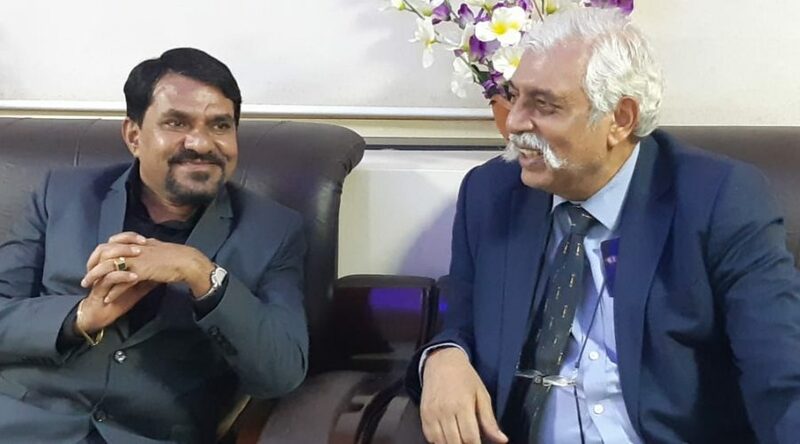 It is worthwhile to note that SNBP International School Pune which is operated under veteran Chairman Dr. Dasharath Bhosale adopts are a very holistic approach in children’s education. Dr. DK Bhosale, being a learned man himself, understands how important it is to impart proper primary learning. If your child is also starting school in the near future, here is all the information that you will require to prepare them for their first day at an international school in Pune. Children can learn in a variety of ways – by seeing, learning, acting or reading. At the primary stage, children learn through observation and interaction. Using fun games and other interactive methods is the best way to teach them about numbers and the alphabet. All the top schools in Pune, like SNBP International, use such games to ensure that children learn all the basic concepts with ease. 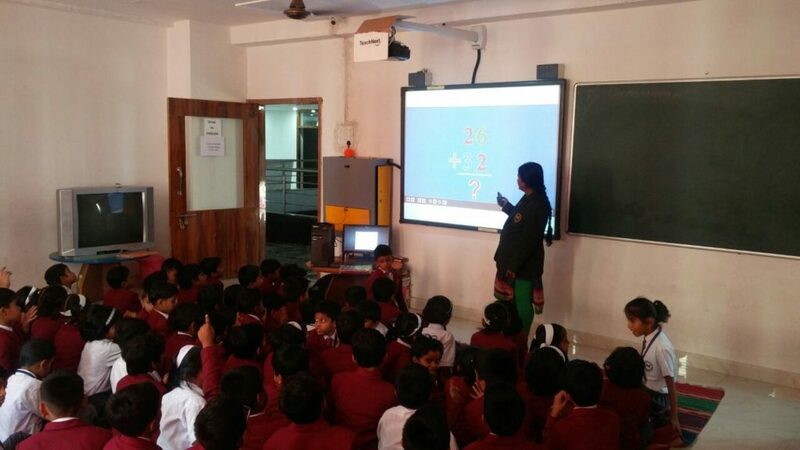 Dr. Dasharath Bhosale actively promotes healthy learning among young children. All children do not have the same level of social skills – Usually, they learn them at primary school. Some learn faster, while some others take a little more time to adapt to their surroundings. It is best if parents allow the children to grow spontaneously, without monitoring their behaviour at every moment. Learning another language can help your child to be culturally sound in the future – Some SSC schools in Pune have programs that teach the children a language apart from English. It will benefit your child if they knew a language apart from English. You can help them practice by speaking with them in the second language at home. The more time children spend around adults, the more they learn – Parents can practice what their children learnt at school with them in order to solidify it in their memory. But this should be done in the mode of game and fun, otherwise, the child will lose interest in learning altogether. That is the reason why Dr. DK Bhosale stresses the significance of fun while learning for the pupils of SNBP International School Pune. Never pressurise your children – It is important for parents to aim high for their children without putting too much pressure on them. The first step they can take in this regard is by enrolling their ward in a good school, like SNBP International, widely regarded as one of the best CBSE schools in Pune. When the child is in a good school and within a safe environment, he or she can learn better and develop a better personality for themselves. With regard to primary school in Pune, SNBP International has surely made its mark. It has an excellent faculty of highly trained and devoted teachers, whose principal aim is to nurture the natural talent that has been instilled in each child and transforming them into productive adults that contribute to the betterment of the world. Sports is usually viewed as a way to stay healthy and to be fit. It just does not stop at providing physical benefits but also caters to physiological benefits and mental health. Academics is related to the ability of the brain to capture, store and process information but if teamed with some sports it provides a wholesome benefit to kids. Team sports offer more than just physical benefits for kids who participate. Organized, well-structured youth sports and ongoing physical activities can provide many benefits for children and adolescents. While considering institutions for your kid, do check for veteran laureate Dr. DK Bhosale’s International school in Pune that adopts a holistic approach to academics andextracurricular activities. Develops Self-Esteem: Achieving a sport or fitness goal encourages you to achieve other goals you set in life. This is a rewarding and exciting learning process. The top International Schools in Pune attach a great deal of importance to both academics and team sport building activities. Discipline: Every sport requires some mental, physical and tactical discipline. Following rules, obeying the coach, practicing restraint and many more are all forms of discipline children learn through sports. IB board schools in Pune are a great choice for your children’s bright future in both academics and sports. Develop Leadership Skills: While playing as a team kids will get a chance to show their leadership skills and also learn about responsibility. 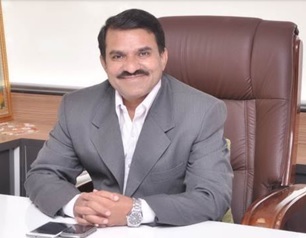 In SNBP International School Pune under the able guidance of Chairman Dr. Dasharath Bhosale believes in offering equal importance to both academics and sports for their students. Teamwork: Children learn that the team cannot win unless they all work together with one goal in mind. They also learn how to become less selfish and back each other in the team. Do check for ssc schools in Pune for securing the higher education for our children. Improved communication skills: While playing in a team children tend to express themselves more and thus it helps them to polish their social skills. SNBP International School Pune founded and chaired by Dr. DK Bhosale, provides excellent opportunities to children for taking part in all sorts of team sports and develop better communications among their team members. Improved energy levels: Regular body exercise improves our energy levels. Sports students can be active throughout the day without getting tired. Regular body exercise boosts the performance of the lungs. IB board schools in Pune would be a great choice of institutes for your kid’s future. Mental strength: Sports is the best in fighting stress. Physical activities help in improving the mental strength and attention span of kids. After spending several hours in class, a student needs some time to refresh the mind. The best cbse school in Pune are ideal for securing your kid’s bright future. For all its advantages, students of SNBP International school in Pune, under the Chairmanship Dr. Dasharath Bhosale, are encouraged to partake and shine out not only academically, but also in the area of sports and fitness. A family where the members live happily and in harmony is the family where a strong bond exists. And this aspect has to be looked after by the parents themselves since they have a lot of influence on the young ones. Discipline is a major key in parenting. And a part of this discipline comes from admitting them to the best school in pune. Under the guidance of the chairperson Dr. DK Bhosale, SNBP International school in pune had put up effort into building an atmosphere that will set the right moral values for your teenage child. Apart from teaching them at home, selecting a good school that moulds a child into a good human being is also necessary. The best cbse school in Pune such as SNBP International School Pune takes utmost care of the formative years of your child. Besides suitably designing the scope of studies, the schools maintain disciplinary parameters. Under the benevolent leadership of Dr. Dasharath Bhosale, these are implemented in such a way that your child learns the values without feeling pressurised. Education has the power to help societies, and the world, on a larger basis to change for better. Rightful knowledge can always be applied to make a better living. It reduces violence and crimes and teaches your kid to treat everyone with the same respect. The top schools in Pune teach a child to behave equally with everybody, irrespective of any caste or religion. And you must also treat them with the same respect that they deserve. Take time out of your daily schedule and spend time with your children. To build a good life for your teenage child, you must learn to understand your child’s behaviors and their needs. Be their friend rather than a judgmental parent that they detest! Another important role of education provided by a school includes creating hope for the future. When teenagers get the hope that they can improve their interests in life, it creates a strong and determined mindset in them. This will definitely help them to pursue a good career. 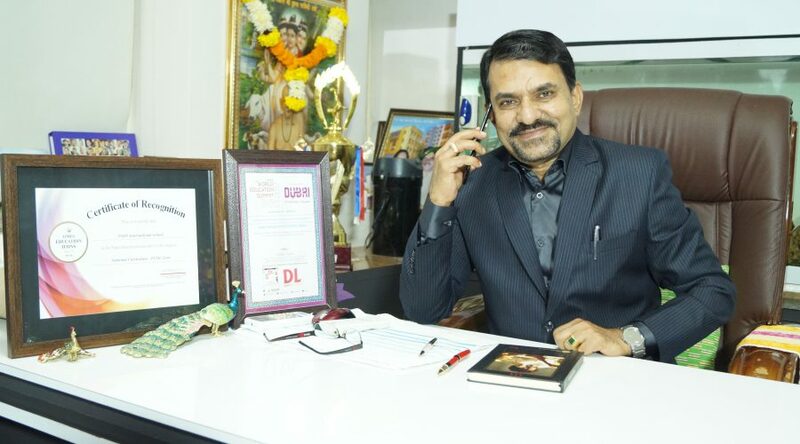 Dr. Dasharath Bhosale, who is the Chairperson of the best IB board schools in Pune and his team builds an effort to motivate the teenagers and strengthen their minds into developing a personality that would be beneficial in the long run of life. In the school life, a good teacher is assigned with developing the inborn potentialities of a child right from the beginning. It also helps in modifying the behavior as one grows throughout time. 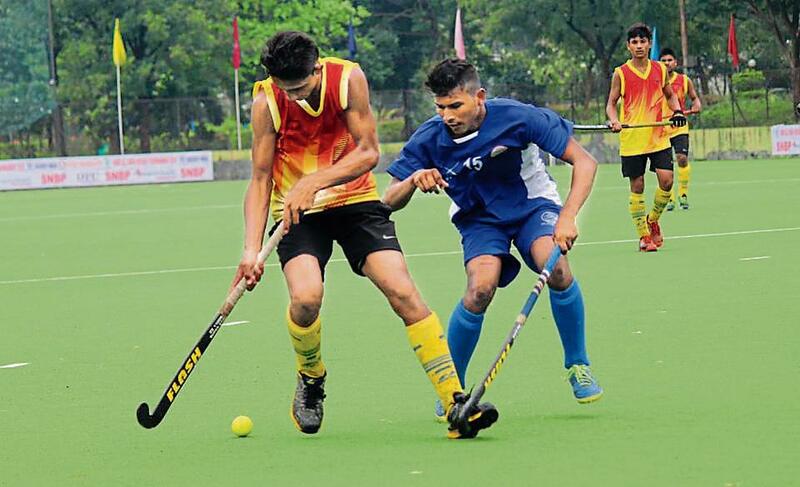 Most parents want their child to be an all-rounder. Of course, they should not be pressurized to do so but all around development of a child is possible with your boost and guidance too. And so that your teen receives the same guidance at school, Dr. DK Bhosale has ensured that his team comprising of the teachers can provide mental, social, emotional and spiritual support to your dear kid. With all the necessary elements present to shape the career and life a teenage child, SNBP International School Pune is making its name as one of the best school in pune. Getting students efforts and hard work recognized in front of eminent personalities is not something that every international school in Pune can do. While most of the state board schools in Pune focus on the students’ academics and extracurricular activities, SNBP, one of the best schools in Pune keeps its students ahead of others. The teachers at SNBP keep an eye on the best national and international programs that can help their students exhibit their true potential and worth. It is the reason why one of its students got the opportunity to participate and get nominated for the prestigious INSPIRE awards. The top-notch and best Pune international school is the one that carves a path to success for its students. 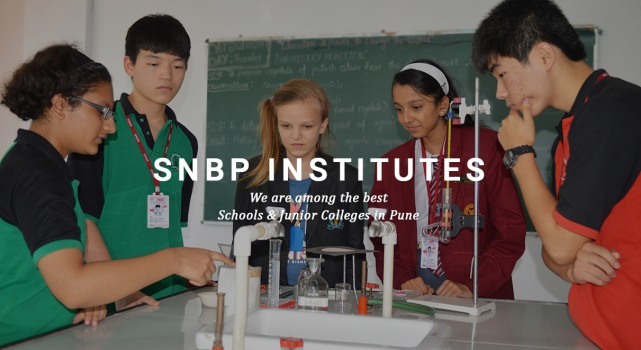 SNBP being one of the best international schools in Pune has contributed immensely to our students’ overall growth. 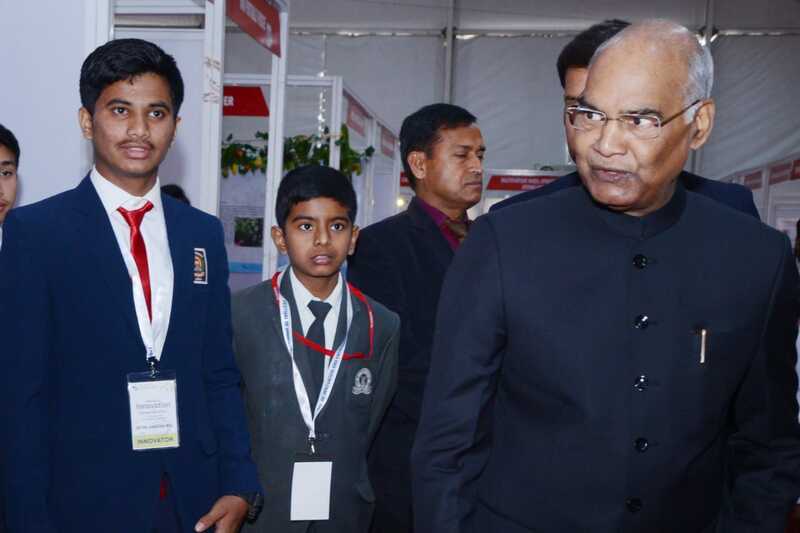 The statement can be justified with the fact that one of SNBP’s student, Anuj Navnath Lonkar, got the opportunity to meet India’s honorable president on the pretext of being nominated for the INSPIRE awards. Being the best school in India, we have given such avenues to most of our students. Apart from meeting the honorable president, our students have met other renowned personalities as well. It is something that most of the schools in Pune don’t do. All the efforts of our international CBSE School in Pune aim to give the required boost to our students growing and learning graph. If you too want to see your children being nominated for prestigious awards and getting the chance to meet eminent personalities, then you can enroll them at SNBP, one of the finest international schools in India. The success of the best schools in Pune or other parts of the world depends significantly on the success of its students. It is one of the primary reasons why SNBP, international school in Pune has always given much attention to students’ aspirations and taken necessary actions to help them achieve it. Anuj Navnath Lonkar is a brilliant student of SNBP, one of the best state board schools in Pune. 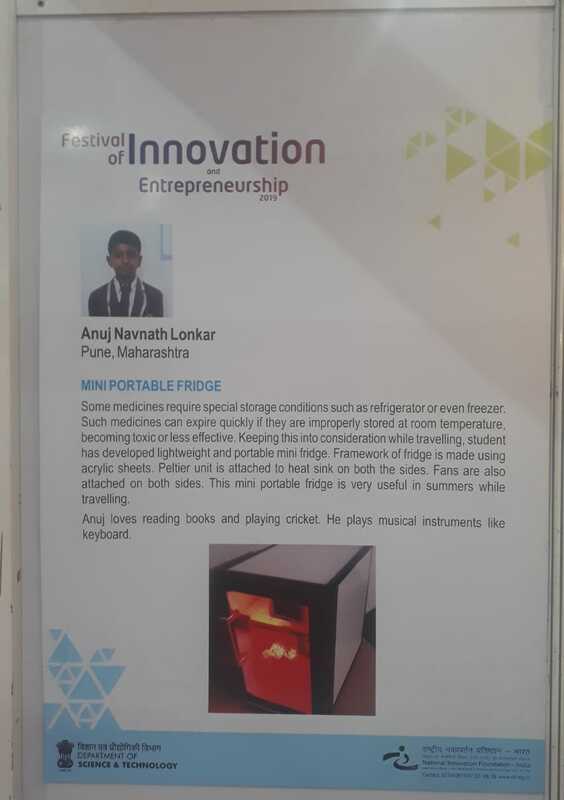 Unlike other students of our Pune international school, he has been selected for the prestigious INSPIRE awards out of several thousands of students. Not many schools in Pune give their students the necessary guidance and support to take their success to the next level. What made SNBP one of the best international schools in Pune is that it takes all the necessary steps to help students’ exhibit their talent on national and international platforms. INSPIRE is a well-known program run by DST or the Department of Science & Technology. 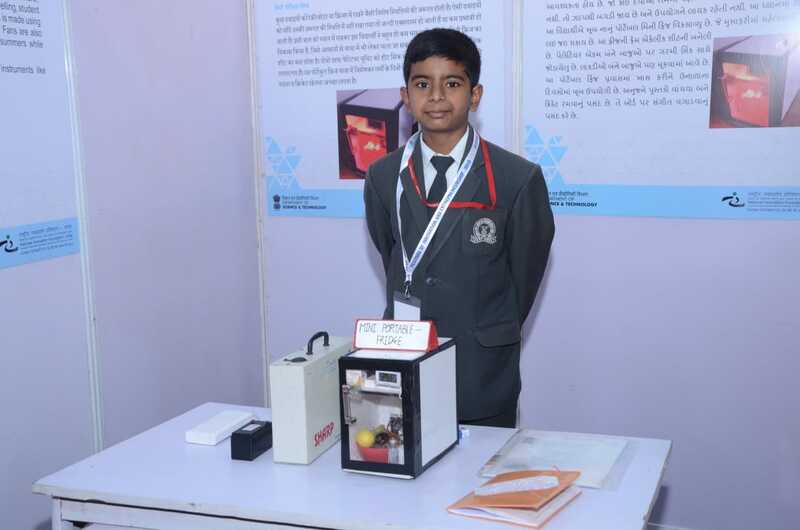 It encourages the young population to take up science and research as a career option by rewarding them for their unique and useful projects. Being looked upon as the best school in India, SNBP contributed to Anuj’s success. He got selected out of thousands of students to present his project on an international platform. It is sure to shape his career for the good in the coming days. You can also put your children in the best international CBSE school in Pune to get similar opportunities for your children.